THE MAJOR aim was to assess the effects of lead stress on Triticum aestivum (cv. 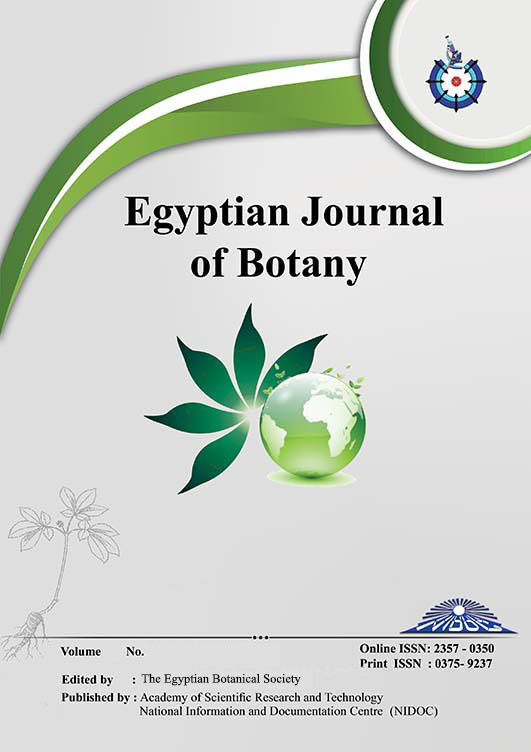 Gemmeza R2) and to evaluate the role of seed priming in the aqueous extract of Halimeda opuntia or Codium fragile in the alleviation of these harmful effects. Seven days old T. aestivum seedlings growing from primed seeds were subjected to the sub-lethal concentration (400ppm) of lead nitrate (Pb (NO3)2), then left to grow for 14 days. Results revealed that the lead nitrate significantly decreased root length, shoot height and fresh and dry masses of root and shoot, the content of N, PO4, K, Mg, Ca and Cu, photosynthetic pigments (Chl a, Chl b), total chlorophyll and photosynthetic activity of 21-days-old plants. On the other hand, carotenoid contents, total soluble sugars, Na and Fe content, the activities of catalase and peroxidase, ascorbic acid and malondialdehyde increased in leaves. The bioactive components in H. opuntia and C. fragile extracts such as minerals and phytohormones (auxins, cytokinins and gibberellins) could potentially participate in the alleviation of lead stress. Therefore, priming of T. aestivum seeds with the aqueous extracts of H. opuntia or C. fragile could mitigate all of the recorded harmful effects under lead stress.